This veteran has entries on 2 different pages in the WWII publication. We have included both here: Pfc. Hrschel E. Dethroff, attended Newcastle High. 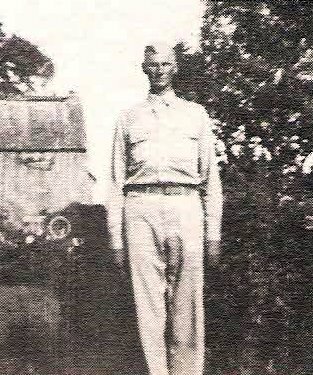 Entered Army, 1941, trained at Camp Barkeley, Tex. Served in ETO. Awarded Purple Heart, ETO, and AD. Killed in France in 1944. Hershell E. Dethloff, son of Mr. and Mrs. Charles Dethloff, Bridgeport. Entered Army 1942, trained at Camp Barkeley, Deserts of Cal. Served in France and St. Lowe. Awarded Purple Heart. Killed in 1944 in France. 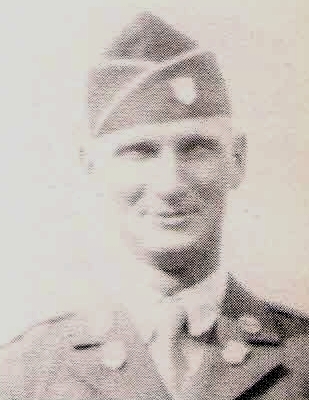 Also: "Slim" Dethroff is listed on the "In Memoriam" page in the original 1940's publication, "The Men and Women in World War II From Young County Texas".